This is a brief notice to remind readers that this essential event in the Early Music calendar is underway, and to urge all within reach of Greenwich to be there Saturday &/or Sunday. The exhibition of instruments, music and CDs is spectacular as always and the crowded programme of performances and master-classes tightly scheduled but still bound to over-run and overlap. On the Friday morning I was able to enjoy at the Peacock Room the Trinity College of Music Ella Kidney Competition 2007 prizewinners - Emily White, Chris Hartland recorder and Claire Williams harpsichord, with Becky Truscott cello - in a beautifully designed and executed baroque programme of sonatas by Schmelzer, Telemann and Vivaldi, harpsichord arrangements of Forqueray and a Handel trio sonata. Hastened thence to the Old Royal Naval College Chapel to find an audience of some 200 gathered on this perfect cold, bracing morning - blue sky and sunshine, but the Thames barrier closed because of threats from a North Sea surge, with people evacuated from the east coast ! After a hurried lunch, back to the ORNC for an innovative J S Bach recital, the Dorian prelude & fugue (WM 538) on the organ (Sean Farrell), with violin (Oliver Webber) and recorder (Chris Hartland again) from either side of the console. One of the organ trio sonatas played as a trio with violin and on recorder was more engaging than the familiar original, which had been composed as an organ teaching piece. 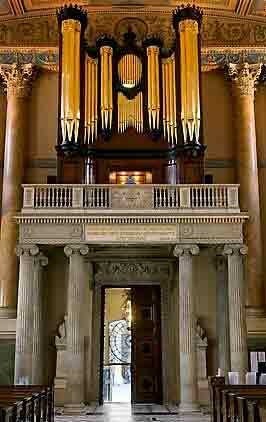 Farrell (Director of Music at ORNC) demonstrated the success with which the restoration of the mechanical action and re-voicing/replacement of pipes had re-established 'the original soft, sweet tone' of this 18th C organ, making for a modest, "right" sound quality whether solo or in concert with the baroque instruments. As if all that wasn't enough, I was able to sample also two Master Classes, the charismatic conductor/early keyboard specialist Steven Devine, tackling sonatas of Mozart K310 and Haydn Hoboken XVI/50 on fortepiano, and John Henry teaching Froberger and C P E Bach on clavichord - courtesy British Clavichord Society - which sounded fine in the Peacock Room. The Bach was tackled also as a duet with a second student acting as continuo on muted harpsichord. The erudite John Henry (as I have suggested in a previous report*) might help his audiences by using a radio-mike. Devine, communicating loud and clear, with gesture and occasionally by example, was effective in modifying performances to bring them more fully to life; his teaching would reward filming for TV &/or DVD. And we returned in the evening for a relaxing Handel concert, with James Bowman in fine voice accompanied by a small contingent of the English Concert directed by Matthew Halls. They gave a concerto grosso (Op. 6/4) with reduced forces, and a sprightly trio sonata (Op. 5/4) augmented with 'a rogue viola'! On the Saturday, the high spots were the first whole concert devoted to John Blow I've ever heard, with Philip Thorby (pictured above) directing Trinity College of Music's Early Music Ensemble and, at the nearby St Alfege's Church, which is being used regularly for TCM student concerts, Pantagruel with soprano Hannah Morrison** in Jacobean Ballads, Ayres and Dances, The Golden Age Restored - a ravishingly beautiful music theatre 'fringe' event (pictured). Do take a few minutes to follow the various links below. 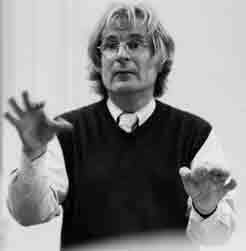 * (EMF report 2006) - - John Henry taught on both harpsichord and clavichord in his master class. His fascinating comments, often abstruse and esoteric, were hard for the audience to hear; a headset radio mic would help next year? 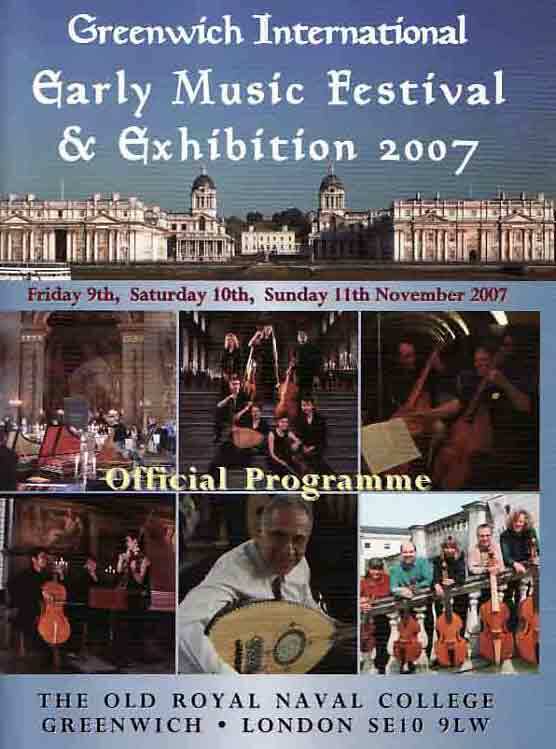 Our report on the whole 3-day Greenwich EMF 2007 will be published in Early Music Review next month.